This article was written by Recovery Help Now’s, Vanessa Blaxland, MFTi. 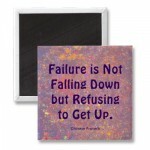 Whether it’s recovery or a new year’s resolution, we fall…get back up…fall again…get back up again. Sometimes we make goals and get thrown off course by life’s events, but that’s the nature of this life business. Sometimes we fall back a step or two and other times we fall back so many steps we couldn’t count. It’s true that “it’s not how many times you fall that matters, it’s how many times you get back up”. Think about when a young child learns to walk. They stand up slowly, usually hanging on to something, wobble around for a bit, testing their new skills, and fall down. They do this over and over and over. And with all that falling I’ve never seen a child just give up on walking. I think we as adults can learn a lot from the child learning to walk. After we’ve fallen maybe we need to take it slower the next time. Maybe we need to hang on to something or someone more often and seek the support of those that encourage us and keep us accountable. And we have to be aware that reaching our goals will always come with “wobbly” moments and that we may fall, but its that we get back up that counts.